We do our best to respond to inquiries as quickly as possible! The White Kitty Foundation respects the intellectual property of others. If you feel that your intellectual property, trademark, logo, or other work has been used in a way that constitutes an infringement of your copyright policy, please email info@whitekittyfoundation.org. 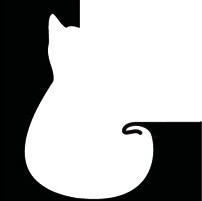 If you are seeking permission to use the White Kitty Foundation logo, trademarks, servicemarks, slogan, screen shots, or other features, please email info@whitekittyfoundation.org.